Find Out What’s New for the 18th Anniversary of EverQuest! New events, new rewards, new missions! 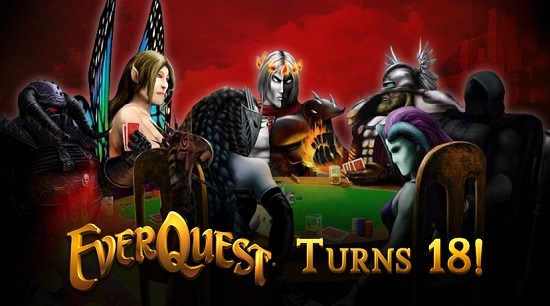 Join us as we celebrate the 18th anniversary of EverQuest! 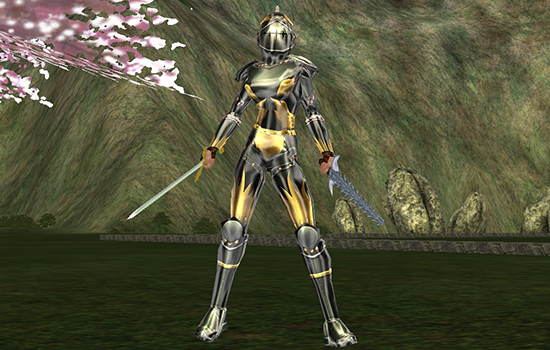 Can you believe that EverQuest is turning EIGHTEEN? We’re kicking off the 18th Anniversary celebration on Thursday, March 16, 2017! We’ve gone into the vault to finish two Player Designed Missions that groups of players created with the development team during SOE Live 2014. “Fippy’s Further Revenge” and “Delving into Frostcrypt” are new tasks for the 18th Anniversary. 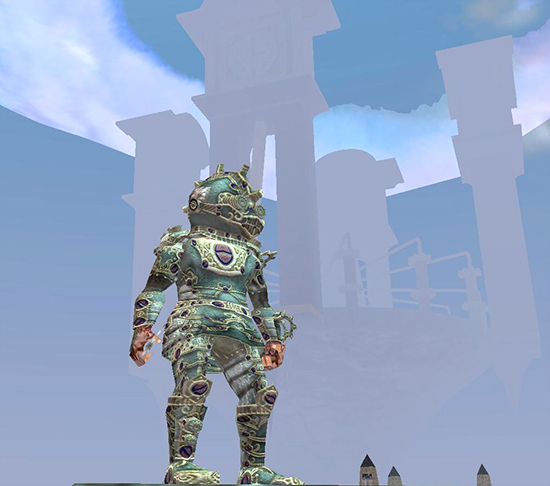 In addition to this, explore Norrath through the anniversary quest “Tsaph’s Day Off” for a special teleport item “Zueria Slide.” When you use this item you can choose if you’d like it to teleport you to Nektulos, Dreadlands, Skyfire, Stonebrunt, Great Divide, or North Ro. These events start Thursday, March 16 at 12:01AM PDT and end on Wednesday, May 10 at 11PM PDT. Starting on our anniversary, players will earn BONUS EXPERIENCE on ALL servers for the rest of March! Bonus XP STARTS Thursday, March 16 at 12:01AM PDT and ENDS Friday, March 31, 2017 at 11:59PM PDT. As a special addition for the 18th anniversary, there’s a Dark Elf themed crate in the Marketplace. Each of these crates has one random item from the Teir`Dal Heritage set, and if you’re lucky you’ll get a complete set of unique Dark Elf Hero’s Forge armor or a special Fourth Gate Guardian illusion! The Teir`Dal Heritage Crate is available in the Marketplace on ALL SERVERS for 799 Daybreak Cash, and is available from Thursday, March 16 at 12:01AM PDT through Wednesday, May 10 at 11PM PDT. All of the anniversary content from the 14th - 17th anniversary will also go live on Thursday, March 16 at 12:01AM PDT. Also the Gnome Race is back on ALL servers! This event happens a few times each day. Server-wide messages will go out prior to each race, so you always have a chance to join if you want. Tuesdays, Thursdays, and Saturdays this event starts at 12AM (midnight) PDT, 6AM PDT, 12PM (noon), PDT and 6PM PDT. 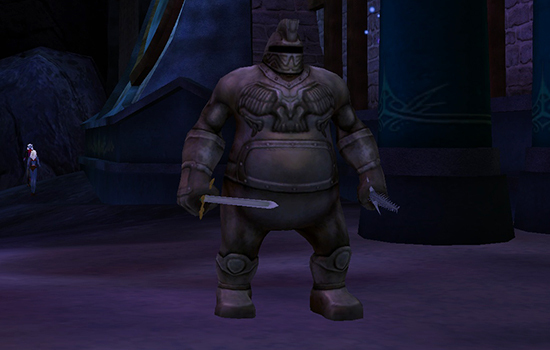 The reward for being one of the first players to complete the drunken gnome race is YOUR CHOICE of a piece of Tipsy Gnomework Hero’s Forge Ornaments. On Wednesday, April 12, 2017 at 12:01AM PDT the anniversary content from the 5th-13th anniversaries (and FABLED NPCS) will return. Looking for more information regarding EverQuest anniversary content? See Fanra’s Wiki here! ALL of the EverQuest anniversary content will END on Wednesday, May 10, 2017 at 11PM PDT. 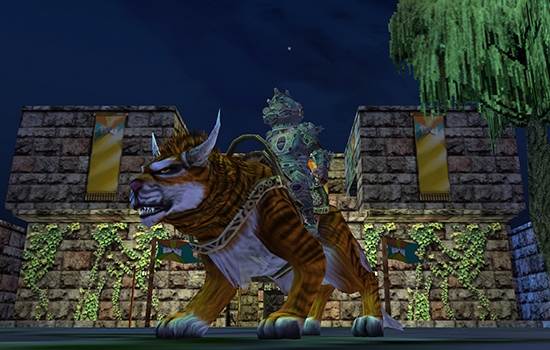 We appreciate your support over these 18 years, and we’re excited to celebrate our anniversary with you in Norrath!